“We try to be good stewards of our resources, for our fans and our players the cost savings alone make this such an important upgrade to an already beautiful stadium. 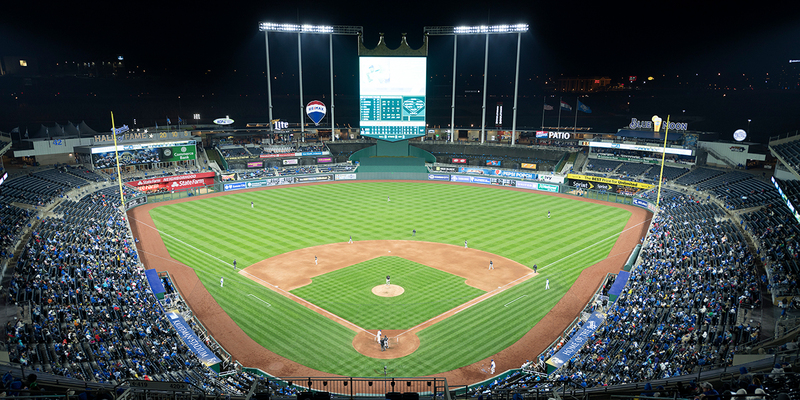 But everyone, on the field and in the stands, will benefit from better lighting at The K."
Kauffman Stadium – home of the Kansas City Royals – has been regarded as one of the best examples of modernist stadium design in the Major League Baseball. Since the stadium’s completion in 1973, the Royals organization has paired traditional baseball values with cutting-edge technology to establish itself as a leader in stadium experience and design. 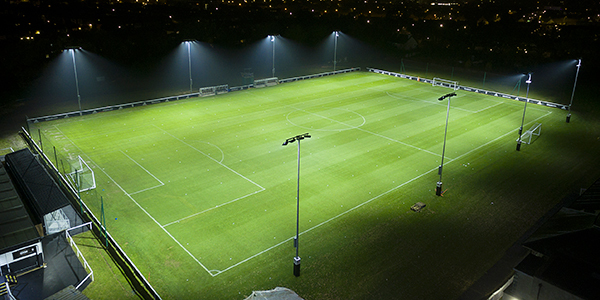 With the complete renovation of the field in the fall of 2017, owners looked to upgrade their current metal halide system to a new LED system to enhance visibility for both players and fans while reducing energy consumption. 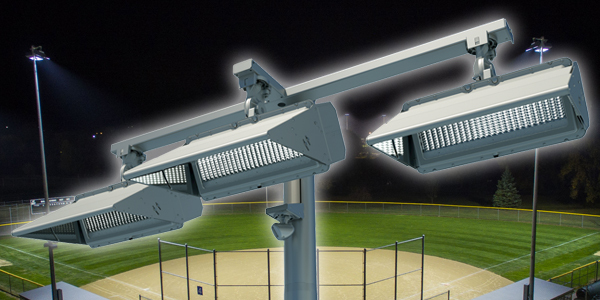 Enhanced Visibility – The system’s patented optics and glare control technology virtually eliminates glare from impacting players and fans at Kauffman Stadium. Instant On/Off control – The LED lighting features instant on/off capabilities which eliminate the previous system’s time requirement when turning the lights on. Energy Efficiency – With the installation of the new lights, energy consumption was reduced by 59 percent and CO2 emissions will drop by nearly 6,700 metric tons over the next 25 years. Zero Maintenance – Maintenance concerns and costs are eliminated with Musco’s 15-year parts and labor warranty.